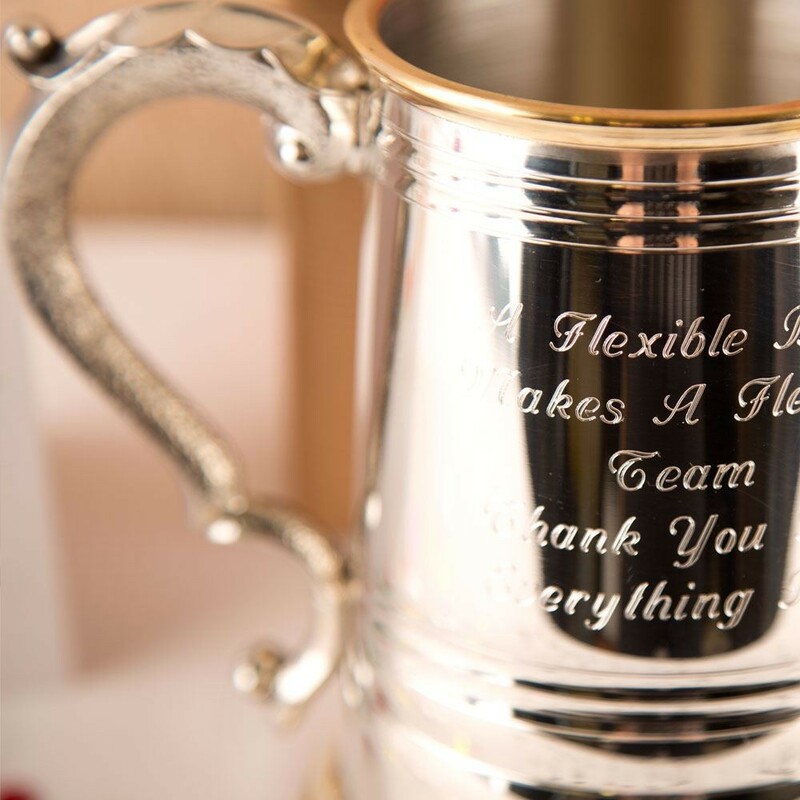 Personalised tankards make great birthday & Christmas presents for beer drinkers (Ideal gifts for Fathers Day, Retirement, Thank you, wedding or other). It is the perfect gift for those not-so-easy to buy for men. 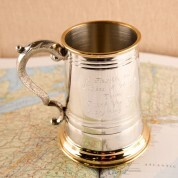 This top quality brass and pewter beer tankard is made from Finest English Pewter and is fully personalised in house with your special message. 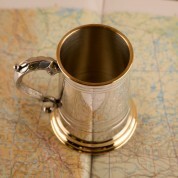 Why not team it with a bottle of their favourite beer so they can fully utilise this gift straight away. 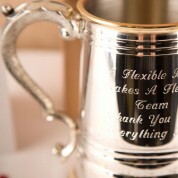 It is a nice keepsake that can be displayed in a cabinet or in a glass unit for a life time. Dimensions: Approx 12cm high x 12.5cm wide (including the 4.5cm handle).